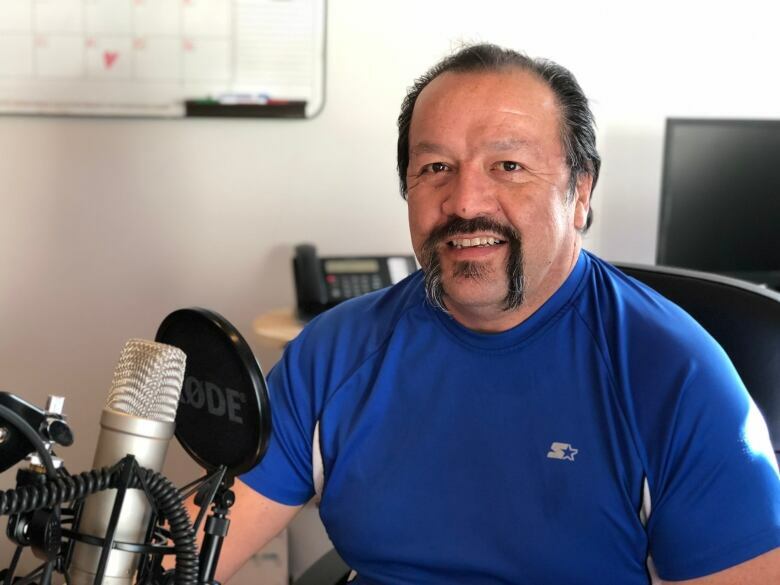 He worked most of his life as a truck driver and carpenter, so he was surprised to be asked by his community just over a year ago to host a radio show for Gimaa Radio. The word means chief in Ojibwe. The idea of Gimaa Radio was actually the brain child of local artist Carl Beam-ba in the early 2000's. Beam-ba was sent to Garnier Residential School as a child and was passionate about retaining his culture after that experience. 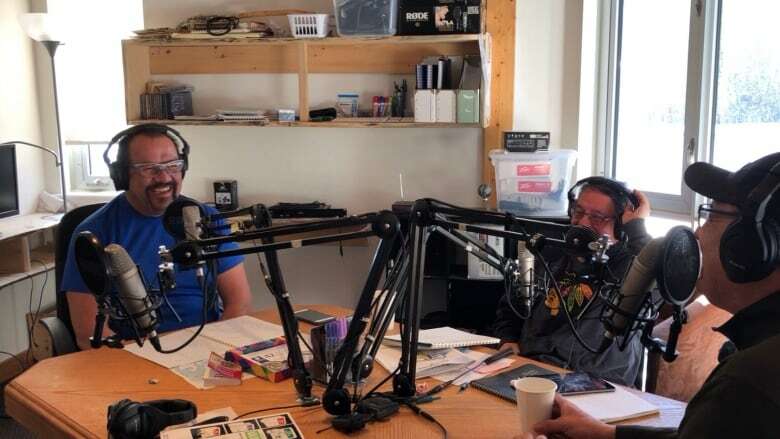 During a conversation among friends, the idea of an station that would broadcast primarily the Ojibwe was born. In the beginning, the group found the procedure to get a CRTC license daunting, so that led them to start a pirate radio station. It was hard to find hosts to keep it going, and in 2005 Beam-ba passed away. His family has since taken over and eventually got a CRTC license. Hare got involved when Beam-ba's daughter asked him to try hosting because she said her father always had his friend's voice in mind. He started hosting in October of 2017. Hare says he feels free when he speaks the language and it makes him feel good to be able to teach the younger generation. He grew up speaking Ojibwe, his parents were fluent, but when he went to school he was discouraged from speaking the language. He say now, 15 to 20 per cent of the people in M'Chigeeng speak the language, but many more are trying. Many are too shy to speak it, says Hare, because they are worried about making mistakes. "I speak it and I don't care where I speak or or when I speak it." He says it is so much fun to talk in his own language. "You can joke around so much more." For instance, there aren't any swear words in our language, says Hare. For a while, he wasn't sure if he was reaching anyone but then he started hearing about people who were listening to him. "Hey, we listen to you on the radio and that's pretty cool what you are doing." They even hear us make mistakes and that is okay, it's okay to make mistakes, says Hare. "When we were growing up, nobody wanted to speak it because you would be laughed at because you couldn't say it right." He says he tells them, I'm not laughing at you, I'm laughing with you so we can learn together. "I can hold my head up you know and say, 'hey I'm Nishnawbe'." 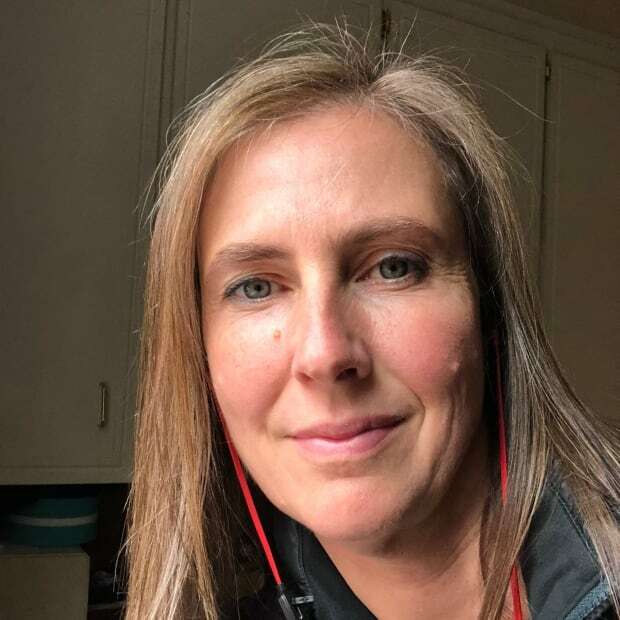 Jan Lakes is a producer at CBC Sudbury. You can reach her at jan.lakes@cbc.ca or find her on Twitter @lakesCBC.